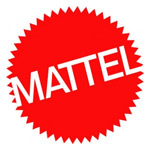 Mattel Inc is a toy and games making company founded in 1945. The largest toy making company has its headquarters in EI Segundo, California, United States. The company also runs subsidiaries such as Fishee Price, HIT Entertainment. The company products include Fisher Price, Barbie dolls, American Girl dolls, board games, Monster High dolls, Hot Wheels and Matchbox toys, Masters of the Universe, and in the early 1980s, video game systems. Mattel Inc is ranked one among the top 100 companies to work for in 2013 by Fortune magazine. The company operates with 28,000 employees out of which 1,000 people work for more than 15 years in it. There are currently 0 consumer reviews about Mattel, Inc available. Share your review. Please take a note that you are about to post a public review about Mattel, Inc corporate office on CorporateOffice.com. This review will be public, so please do not post any of your personal information on this website. If you would like to contact the corporate offices of Mattel, Inc, please use their contact information such as their phone number, website, and address listed above to contact them. However, sometimes staff from Mattel, Inc headquarters do read the reviews on this website.